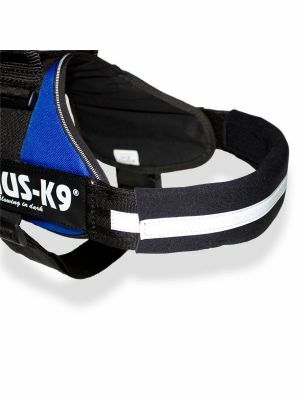 The Y Belt functions as a supportive chest strap which sits across the abdomen section of a dog harness, granting improved pressure distribution over long periods of wear. It’s easy to fix and remove due to the simple but highly secure hook and loop straps. 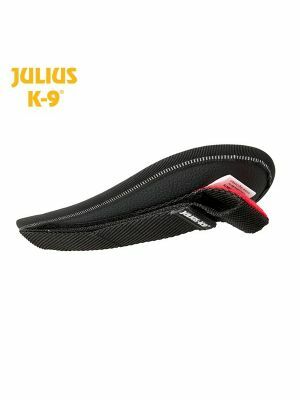 The belt also has reflective strips to improve the visibility of your dog at night or in poor weather conditions. 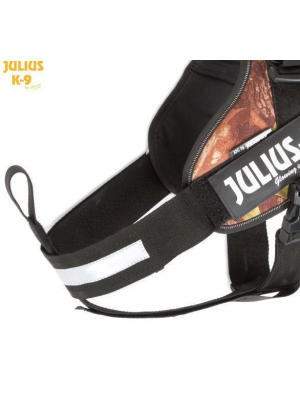 All of Julius K9's chest pad harness attachments are used and trusted by professional dog trainers and pet owners alike.